The Red Fort is a historical fort in the city of Delhi in India. It was the main residence of the emperors of the Mughal dynasty for nearly 200 years, until 1857. It is located in the center of Delhi and houses a number of museums. In addition to accommodating the emperors and their households, it was the ceremonial and political centre of the Mughal state and the setting for events critically impacting the region. Constructed in 1639 by the fifth Mughal Emperor Shah Jahan as the palace of his fortified capital Shahjahanabad, the Red Fort is named for its massive enclosing walls of red sandstone and is adjacent to the older Salimgarh Fort, built by Islam Shah Suri in 1546. The imperial apartments consist of a row of pavilions, connected by a water channel known as the Stream of Paradise (Nahr-i-Bihisht). Situated next to the shoppers' paradise at Ajmal Khan Road, Karol Bagh, New Delhi, the hotel is convenient to New and Old Delhi Railway Stations, the Inter State Bus Terminal and many important commercial locations. 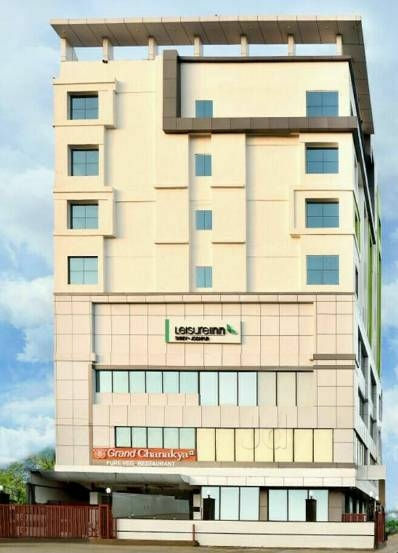 The hotel is also easily accessible from domestic and international airports, with Indira Gandhi International Airport is approximately 18 km away. The hotel provides personalised services and modern comforts within a reasonable price range. The aesthetically pleasing lobby, terrace garden and roof top restaurant add to the decoration of the hotel. Comprising 24 rooms, the air-conditioned establishment also features a hotel safe, currency exchange facilities, conference facilities and room and laundry services. The hotel rooms are tastefully designed to meet the basic comforts and needs of guests. The interiors are carefully chosen to provide a relaxing atmosphere with the perfect ambiance to relieve the stress of weary tourists. All rooms are en suite and equipped with a direct dial telephone, TV, fridge, air conditioning and central heating. The hotel overlooks the prestigious 18-hole Delhi Golf Club. Creating an elegant and contemporary atmosphere, the fantastic hotel restaurant serves is a charming place for guests to enjoy delicious meals. This hotel is located in Karol Bagh, Asia's biggest shopping centre. It lies 4 km from New Delhi railway station, 6 km away from Old Delhi railway station, 15 km from the domestic airport and 18 km from Delhi International Airport. The convenient location of the hotel makes it an ideal place for business travellers and tourists. This city hotel comprises a total of 93 rooms, including 7 suites, spread over 4 floors. Facilities on offer to guests at this air-conditioned establishment include a lobby area with a 24-hour reception, a hotel safe, a currency exchange facility, a cloakroom, a lift, a restaurant and Internet access (for an additional fee). Guests may also take advantage of the 24-hour room service and the laundry service (both for an additional fee) and there is a doctor on call. Parking is on hand for those arriving by car. All rooms are well-furnished and are equipped with individually adjustable air conditioning, marble flooring, en suite bathrooms with running hot and cold water and a bathtub, direct dial telephone, 100-channel colour TV and a fridge. They also come with Internet access. The hotel offers a multi-cuisine restaurant serving breakfast, lunch and dinner. Agra Fort is a historical fort in the city of Agra in India, is a UNESCO World Heritage site. It was the main residence of the emperors of the Mughal Dynasty till 1638, when the capital was shifted from Agra to Delhi. The fort is also known as Lal Qila, Fort Rouge and Red Fort of Agra, can be more accurately described as a walled palatial city. It is about 2.5 km northwest of its much more famous sister monument, the Taj Mahal. Agra Fort was built in 1573 by Akbar in Red Sandstone. Some 1,444,000 builders worked on it for eight years. Some of the exquisite structures that deserve a mention are: Sheesh Mahal, Deewan-e-Khaas, Deewan-e-Aam,etc. The Taj Mahal, meaning &ldquo;Crown of the Palace&rdquo; is one of the marvels of architecture, Seven Wonders of the World and recognized as UNESCO world Heritage site. It is an ivory-white marble mausoleum on the south bank of the Yamuna river in Agra, was commissioned in 1632 by the Mughal emperor Shah Jahan for his beloved wife Mumtaz Mahal. It took 22 years to complete and by more than 20000 workers. The main mausoleum has two buildings constructed with red sandstone, where one is a guesthouse and other is a mosque. There are 4 pillars of white marble to protect the main mausoleum. It has Persian and Mughal style of architecture. It has three entrances, East, West and South gates. It is the most visited tourist attraction of India. With a stay at Hotel Royale Residency in Agra, you'll be convenient to Mosque and the Jawab and Taj Mahal. This hotel is within close proximity of Agra Fort and Itmad-ud-Daulah's Tomb. Make yourself at home in one of the 47 air-conditioned rooms featuring refrigerators and LCD televisions. Your room comes with a Select Comfort bed, and all rooms are furnished with double sofa beds. Complimentary wireless Internet access keeps you connected, and cable programming is available for your entertainment. Private bathrooms with separate bathtubs and showers feature deep soaking bathtubs and complimentary toiletries. Take time to pamper yourself with a visit to the full-service spa. This hotel also features concierge services and wedding services. Featured amenities include complimentary high-speed (wired) Internet access, a 24-hour business center, and express check-in. Planning an event in Agra? This hotel has 5500 square feet (511 square meters) of space consisting of a conference center and meeting rooms. Guests may use a train station pick-up service for a surcharge, and free self parking is available onsite. Chokhi Dhani is a prominent and astounding fascination of Jaipur. It is an ethnic town resort offering all of you kind of diversion alternatives including move, music, nourishment and lodging in illustrious styles. You can stay here for a day or increasingly and get acquainted with the energetic society of Rajasthan. In the event that you are staying here at the town resort then you can investigate the area all alone, yet the principle festivity begins at night with a jolting feel. The night exercises at Chokhi Dhani incorporate enchantment appears, manikin appears, Rajasthani move, Rajasthani people music, future tellers, gymnastics on a bamboo and fortunes anticipating parrots. There are likewise fascinating exercises and enterprises that will keep you totally drew in, similar to camel ride, elephant ride and stallion ride and boating. Fatehpur Sikri is one of the mostly visited spots in India, listed among the World Heritage sites. It is an important specimen of the Mughal dynasty, situated at an easy distance from the city of Agra in the state of Uttar Pradesh. Fatehpur Sikri was made the political capital of the Mughal Empire by Emperor Akbar from the period of 1571 to 1585. There are majestic buildings built by Akbar in Fatehpur Sikri. These buildings are blend of Mughal and Persian architecture. Fatehpur Sikri consists of beautiful monuments includes, Buland Darwaza (largest gateway in the world), Diwan-i-Khas- Hall, Panch Mahal, Tomb of Salim Chisti, the Palace of Jodha Bai, Birbal Bhawan, Diwan-i-Aam and Karawan Serai. Peppermint Jaipur features a transitional architecture that displays traditional charm and modern conveniences. It is an ideal destination for business and leisure travellers. The hotel offers facilities such as business centre, kiosk to keep all the guests comfortable and relaxed. Location: Peppermint Jaipur located at Subhash Nagar, near Science Park, Jaipur. It offers proximity to many famous tourist spots, such as Science Park (Approx. 0.5km) and Nahargarh Fort (Approx. 5km). Other distant destinations which can also be explored are Amber Fort, Jantar Mantar and Jaigarh Fort. Jaipur International Airport: Approx. 15km Jaipur Railway Station: Approx. 5km Hotel Features: The hotel offers an array of facilities including internet, business centre, pool, 24-hour front desk and room service, air conditioning, conference facilities, elevators, laundry, parking, travel desk, 24-hour security, concierge, flower shop, vending machines, banquet facilities, doctor on call, audio visual equipment business services and conference equipment. The hotel also houses a well-designed restaurant, and bar. Rooms: Peppermint Jaipur offers well-ventilated spacious rooms. All rooms are beautifully decorated with bright interiors. The rooms are equipped with air conditioning, hair dryer, internet access, mini bar, refrigerator, safe, telephone, DVD player, flat-screen television, in-room menu, laundry bag, luggage space, tea/coffee maker and temperature control. Amber Fort is also known as Amber fort. Amer Fort is one of the tourist attractions of Rajasthan as well as one of the famous Historical Place of India. Today in this article i will tell you a brief history of Amer Fort , what to see in Amer fort and places to see around Amer Fort. Amer Fort Is located in small town Amer of Rajasthan which is just 11kilometers away from Jaipur.Every year Too many tourists came in Amer fort to see awesome architecture of Amer fort and beauty of Jaipur. Amer Fort is Built in 16th century by Raja Man singh. Actually before 16th century Amer was known as Dhundar and ruled by Kachhwahas. Before 16th century Amer was the capital of Rajasthan. In 16th century capital of Rajasthan is moved from Amer to Jaipur and Raja Man singh has built a fort which became famous as Amer Fort. Later on Raja Jai Singh has renovated this Amer Fort. City Palace Located in the heart of the Pink City Jaipur, the City Palace was where the Maharaja reigned from. This palace also includes the famous &#039;Chandra Mahal&#039; and &#039;Mubarak Mahal&#039;, and other buildings which form a part of the palace complex. The palace is located towards the northeast side of central Jaipur and has many courtyards and buildings. The palace was built between 1729 and 1732 AD by Sawai Jai Singh II. He ruled in Amer and planned and built the outer walls of the palace and later rulers added to the architecture of this palace. These additions have been known to take place right up to the 20th century. The urban layout of the city of Jaipur was commissioned to Vidyadhar Bhattacharya and Sir Samuel Swinton Jacob. The architectural styles are largely based on a fusion of Rajput, Mughal and European styles. Today, the &#039;Chandra Mahal&#039; has been turned into a museum which is home to unique handcrafted products, various uniforms of the rulers and many more things pertaining to the royal heritage of the City Palace. The Hawa Mahal Jaipur is the beautiful many windowed extension of the City Palace that is said to resemble the honeycomb structure of a bee&rsquo;s nest. Since the construction of the Hawa Mahal Jaipur in 1799 the building has become the iconic structure of the city and the pink sandstone palace is considered as the finest example of Rajput architecture.The Hawa Mahal Jaipur translated into English means the Palace of the Winds and this name is in reference to the clever cooling system which propagates a gentle breezes through the inner rooms even during the intense Rajasthan summers. This ingenious design has been completely lost after a recent renovation in which windows were installed behind each of the lattice openings, so today the palace of winds has no wind. Leisure Inn Shrey is located in the heart of Jodhpur (also known as the Blue City) overlooking the desert capital and close to local attractions Clock Tower Market, Mehrangarh Fort and Jaswant Thada monument, making the hotel a perfect base to explore the scenic surrounds and local attractions. 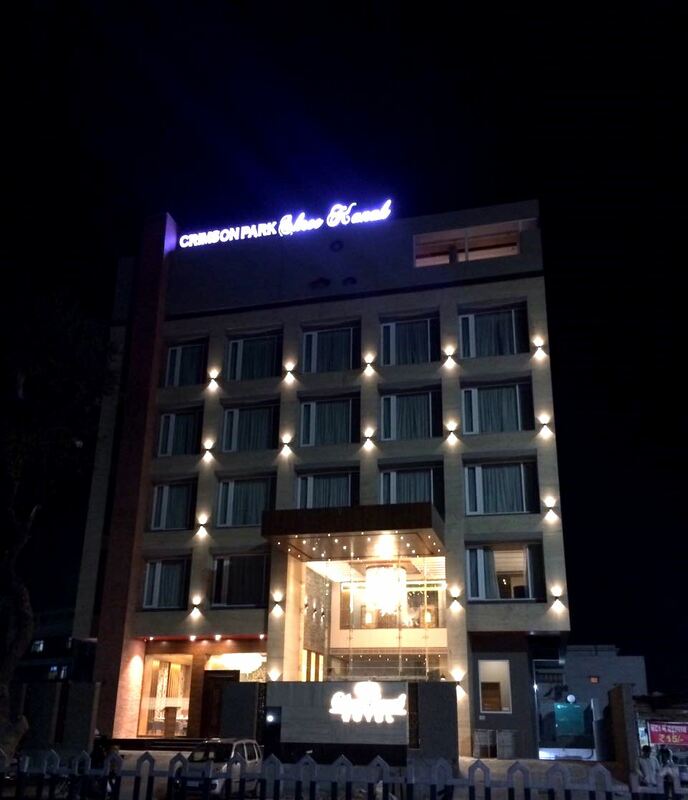 This hotel is a short 15 minute drive from Jodhpur Airport and 2.4km from Jodhpur Railway Station. Featuring 50 rooms, Leisure Inn Shrey offers extensive facilities for guests with well-appointed rooms and international service standards as well as an all-day dining restaurant and lounge and conference facilities. It is a cenotaph or an empty commemorative tomb built in the honour of Maharaja Jaswant Singh. This cenotaph was constructed in the year 1899 and is decorated with precious white marbles. Jaswant Thada is embedded with beautiful outlook and picturesque view of the mighty majestic Mehrangarh Fort. It is one of the largest forts in the country. It is situated at the top of a 410 feet elevated hill and guarded by massive walls. The intricate carvings on the walls of the fort, the sprawling courtyards, its impressive history, striking palaces, museums and galleries allures tourists from all over the world. he Crimson Park Udaipur deluxe hotel, minutes away from the major cultural and historic attractions of the city of lakes . Inspired by modern architecture, the hotel is a fine blend of traditional & contemporary style reflecting rich lifestyle through its elite and resplendent interiors. The Crimson Park Udaipur offers spacious rooms and suites in three different settings , state-of-the art facilities and multi dining & entertainment options. The lobby offers a truly unique ambience with fine marble appointments, magnificently carved LORD BUDDHA statue long with host of other facilities such as gym and swimming pool open Air bar –b –que. Hotel Vishnupriya, Udaipur is a plush hotel in the city of lakes. The magnificent interiors, warm ambience and heart-warming hospitality captivates the heart of the guests while a range of dining options and banqueting facilities make it an ideal venue for social gatherings and corporate meets. The elegant rooms offer an ultimate experience of comfort and exude the beauty of the historical city of Udaipur. Location: Hotel Vishnupriya is situated at 9, Garden Road in Udaipur. Located near the railway station, this hotel has places like City Palace (Approx 2km) and Bagore Ki Haveli Museum (Approx 1km) in its vicinity. Guests can also visit places like the one of a kind Vintage Collection of Classic Car Museum which has an exclusive collection of vintage cars of the long running Mewar dynasty, the splendid Lake Pichola and the famous Fateh Prakash Palace. Distance from Udaipur City Railway station: Approx. 1km Distance from Maharana Pratap Airport: Approx. 22km Hotel Features: Swimming Pool, beauty parlour and massage centre offered by the hotel are the perfect rejuvenation venue for the guests. 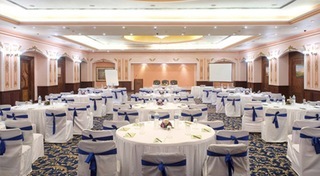 Social gatherings and corporate events get a unique touch with its pool side garden and spacious well equipped conference hall. Indoor games and shopping arcade are the other facilities ensured to enhance the entertainment quotient. Peacock and The Village, the two roof top restaurants titillate taste buds with its scrumptious Indian, Continental, Chinese & Rajasthani dishes, while beverages can be enjoyed at Sanskriti lounge. Rooms: All the rooms such as Executive rooms, Deluxe rooms or the Standard rooms are bright, spacious and airy. Guests can choose between carpet and non-carpet rooms as well. The rooms are centrally air-conditioned and offer services like channel televisions, safe deposit lockers and STD & ISD calling for a hassle free stay. This magnificent palace was built by Maharana Udai Singh, the beauty of which can&rsquo;t be described in words. An accumulation of several buildings with balconies, towers, and dome built all over, the City Palace also have a crystal gallery, which showcases royal artifacts and the world&rsquo;s largest private collection of crystals. It is one of Rajasthan&rsquo;s royal palaces which offer splendid views of Lake Pichola. Mewar Sound and Light Show is the must watch show which gives you a great experience. Jagdish Temple is a large Hindu temple in the middle of Udaipur in Rajasthan. A big tourist attraction, the temple was originally called the temple of Jagannath Rai but is now called Jagdish-ji. It is a major monument in Udaipur. The Jagdish Temple is raised on a tall terrace and was completed in 1651. It attaches a double-storey Mandapa (hall) to a double-storey saandhara (with a covered ambulatory) sanctum. The mandapa has another storey tucked within its pyramidal samavarna (bellroof) while the hollow clustered spire over the sanctum contains two more, nonfunctional stories.Lanes taking off from many of the sheharpanah (city wall) converge on the Jagdish Temple. It was built by Maharana Jagat Singh in 1651. It is an example of Māru-Gurjara Architecture. · Dinner included in Standard category hotels of Jaipur and Udaipur.